Experience the beautiful natural wonders that surround the southernmost island of Key West Florida on our Glassbottom, Snorkel & Dolphin Encounter. This one-of-a-kind activity combines a glassbottom boat experience, snorkeling at the only living coral reef in North America, and an unforgettable Key West dolphin encounter in the famous Dolphin Playground. Dolphins are amazing creatures throughout the world's shallow tropical and temperate oceans, especially here in Key West. Ocean Vue brings you to the dolphin playground for this once in a lifetime experience. 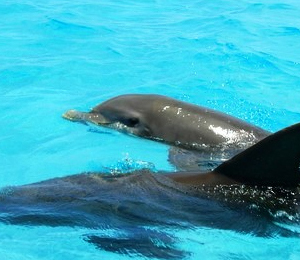 They perform playful antics for you to enjoy while aboard our dolphin encounter. As one of Key West's top attractions the dolphin playground is a must see! Our Key West Snorkeling Tour gives you a chance to sample some of the most beautiful coral reefs in the world. About seven miles away from our shore, these reefs are full of tropical reef fish, soft corals, hard corals, crabs, rays, sea turtles, lobsters, and many other sea creatures. In total, there are more than 100 species of corals, and over 500 species of reef fish. 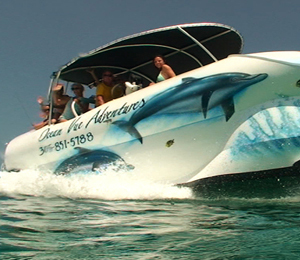 Board the futuristic ‘Ocean Vue’, a hydrofoil Glassbottom Boat with a massive glass viewing area of 6 feet by 9 feet, for our Snorkeling, Glass bottom Boat, and Dolphin Encounter Combo Tour! You’ll be whisked away to explore the underwater world of Key West in comfort; all while staying completely dry or jump right in! Admire the thousands of tropical reef fish, and wild dolphins in their natural habitat and the beautiful and colorful coral reef formations! This is no ordinary run of the mill glass bottom boat, but rather a futuristic hydrofoil boat, which has top speed of 42 knots (50 MPH). After boarding the Ocean Vue, you are first treated to a high-speed thrill ride, where you get to experience the boat rising up on its hydrofoils and skimming across the ocean. This glassbottom boat was designed by our team, and engineered to give the best views of the underwater world with the most comfortable and quick ride out to the living coral reef gardens off of the Key West shores. Our professional staff is attentive to our visitors needs, and want to give a memorable tour that will last you a lifetime. 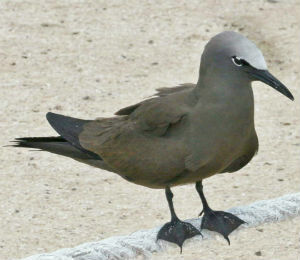 We know there are other tours with glass bottom boat in Key West, but we have been amongst the highest ranked tours here. 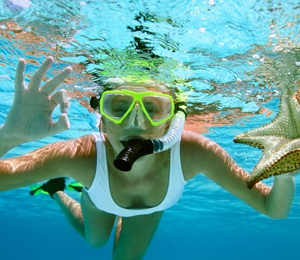 It’s no secret that Key West has plenty of snorkeling tours to choose from. We thought we would save you some time and combine three tours in one! On top of having a family-friendly Glass bottom, the Ocean Vue Adventures bring patrons aboard to some of the most spectacular snorkeling destinations of Key West. Along the way, observe one of the most majestic and intelligent animals on Earth, the Atlantic Bottlenose Dolphin. 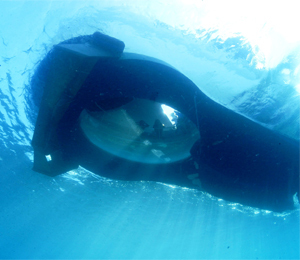 You get the chance to see how they frolic and play in their pods, as well as with everyone on the boat. The Ocean Vue Adventure lasts 3 hours, so you may want to remember to bring some of the following on your trip out to the ocean: sunscreen, towel, sunglasses, bathing suit, and don’t forget the water proof camera for those underwater memories!